Head over to Integrations and choose the Sync Autotask contacts option. 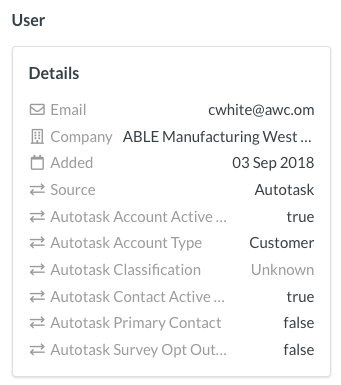 Authenticate with your Autotask credentials, then click Enable Customer Sync. ❗ If you're unable to authenticate, or if customers aren't importing, you may need to change the permissions of the connecting account.